Stephen Robbins’ experience includes financial, administrative, operational, and leadership responsibilities in both non-profit and for-profit organizations. The settings include urban/suburban, private, government, local/statewide, union/non-union, and hospital-based sites. He led local non-profits in areas of health, behavioral health, human services, and special education. In the non-profit based settings, the budgets ranged from $1M – $8M. He led activities including budget, accounts receivable, accounts payable, grants, audit procedures, third party billing, reimbursement modeling, human resource retention, and facilities management including renovations. He provided timely communication with various stakeholders including members of the board as well as community, municipal, and state leaders to gain mutual understanding and support. With assistance from labor counsel, he completed several favorable union negotiations that were positively approved by both management and labor. In the for-profit settings, most recently he was the Finance Director and a member of the Senior Management Team at the CT site for Beacon Health Options, a private behavioral health management company that manages programs for state and private health care organizations. He led the strategic planning and management of the site’s $25M budget. His collaborative style of listening to staff and customers of diverse disciplines and backgrounds to formulate improvement plans led to positive gains. The efforts resulted in improved financial condition, greater work flow operations management, and increased facilities utilization. His finance assignments in CT, MA, and NJ include leading start-ups, managing established programs, and facilitating closures of selected sites. Early in his career he worked for the MA Department of Mental Health awarding and managing community contracts on a regional level. He then accepted a position at a local mental health center to learn what it was like to “make a payroll”. He later became an Executive Director of a home health agency for 12 years and then a Nursing Nome Administrator for two years, before joining Beacon and returning to behavioral health management. 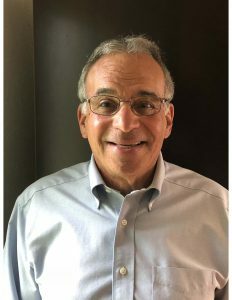 He is a member of the Board of Directors for the non-profit Cooperative Metropolitan Ministries, Boston area’s oldest interfaith social justice network. Previously he served on review committees for The United Way of Mass Bay and Merrimack Valley. Stephen received a BS in Accounting from Bentley University and an MBA with a concentration in Health Care Management from Northeastern University.